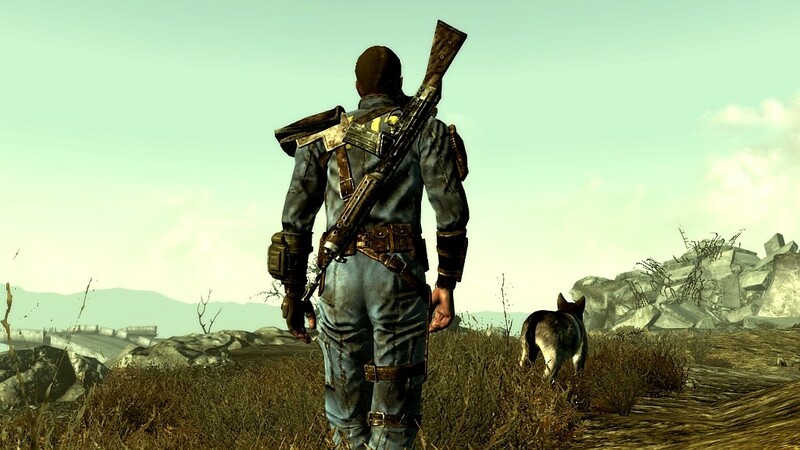 Puntuali come le news di Tre Cani dalla sua Galaxy News Radio, i ragazzi di Bethesda stanno cominciando a "distribuire" come bravi chierichetti le patch tanto attese dagli utenti PC, Xbox 360 e PlayStation 3 che stanno cercando di sopravvivere nella Zona Contaminata ai vari bug, sia di programmazione che "insettiferi" (come le tanto amate Formiche di Fuoco). Le patch correttive, disponibili sin da oggi in USA e in Gran Bretagna, stando sempre a Bethesda sarà possibile scaricarle in tutte le altre zone del pianeta "a breve". Anche per quanto riguarda l'implementazione dei Trofei per la versione PlayStation 3 c'è da attendere ancora un pò, ma sappiamo altresì che sarà un ulteriore aggiornamento abbastanza corposo di 24 Mb, che andrà a sopperire a tale mancanza aggiungendo ben 51 Trofei complessivi. Dopo la pausa, la lista completa (in inglese) dei Trofei disponibili a breve per Fallout 3 nella sua incarnazione per la console Sony. Take it Back! - Completed "Take it Back!" The G.O.A.T. Whisperer - Took the G.O.A.T. Following in His Footsteps - Completed "Following in His Footsteps"
Galaxy News Radio - Completed "Galaxy News Radio"
Scientific Pursuits - Completed "Scientific Pursuits"
Tranquility Lane - Completed "Tranquility Lane"
The Waters of Life - Completed "The Waters of Life"
Picking up the Trail - Completed "Picking up the Trail"
Rescue from Paradise - Completed "Rescue from Paradise"
Finding the Garden of Eden - Completed "Finding the Garden of Eden"
The American Dream - Completed "The American Dream"
Big Trouble in Big Town - Completed "Big Trouble to Big Town"
The Superhuman Gambit - Completed "The Superhuman Gambit"
The Wasteland Survival Guide - Completed "The Wasteland Survival Guide"
The Nuka-Cola Challenge - Completed "The Nuka-Cola Challenge"
Head of State - Completed "Head of State"
The Replicated Man - Completed "The Replicated Man"
Blood Ties - Completed "Blood Ties"
The Power of the Atom - Completed "The Power of the Atom"
Tenpenny Tower - Completed "Tenpenny Tower"
Strictly Business - Completed "Strictly Business"
You Gotta Shoot 'Em in the Head - Completed "You Gotta Shoot 'Em in the Head"
Stealing Independence - Completed "Stealing Independence"
Trouble on the Homefront - Completed "Trouble on the Homefront"
Agatha's Song - Completed "Agatha's Song"
Reilly's Rangers - Completed "Reilly's Rangers"